CHICAGO, March 24, 2016—A research project that the Precast/Prestressed Concrete Institute (PCI) spearheaded and sponsored has been honored with the prestigious American Society of Civil Engineers’ (ASCE) Charles Pankow Award for Innovation at the 2016 ASCE OPAL Gala in Washington, D.C. 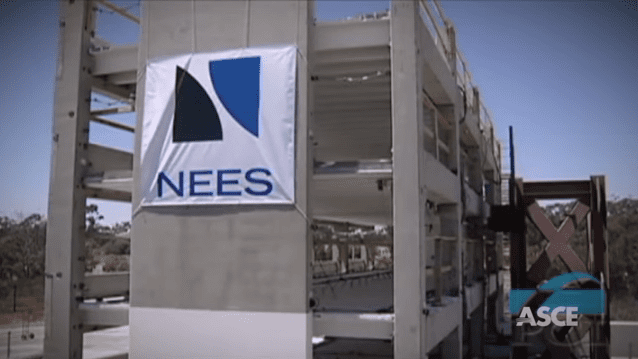 The winning project, Seismic Design Methodology for Precast Concrete Diaphragms, represents groundbreaking research conducted by engineers and precast concrete industry experts throughout the United States. Called the “Diaphragm Seismic Design Methodology” (DSDM) and jointly funded by PCI, the National Science Foundation (NSF), the Network for Earthquake Engineering Simulation (NEES), and the Charles Pankow Foundation, the project is an industry-endorsed, comprehensive seismic design methodology for precast concrete diaphragms. The research behind the method integrated finite element analyses of a diaphragm with full-scale reinforcing detail experiments and shaking table system tests. This initiative resulted in the adoption of a revised force demand and resistance methodology for precast concrete diaphragms in 2015 NEHRP and ASCE/SEI 7-16. The complete research report is available here, on the “Completed Projects and Programs” tab. A multi-university research team from the University of Arizona (UA), Lehigh University (LU), and the University of California San Diego (UCSD) was selected to perform the collaborative research. The team of experts included Robert B. Fleischman, PhD, professor of civil engineering and engineering mechanics, University of Arizona; Richard Sause, PhD, PE, professor, structural engineering and director of Advanced Technology for Large Structural Systems Center, and Clay J. Naito, PhD, PE, associate professor, structural engineering, both from Lehigh University; José I. Restrepo, PhD, professor, structural engineering, University of California San Diego; and S.K. Ghosh, PhD, FPCI, president of S.K. Ghosh Associates, Inc., who served as the industry liaison and codification leader. The Charles Pankow Award for Innovation was established by the Civil Engineering Research Foundation (CERF) in 1996. Named for industry visionary, Charles J. Pankow, the award recognizes the contributions of organizations working collaboratively to advance the design and construction industry by introducing innovation into practice. It was instituted as an ASCE award on December 17, 2008. Founded in 1954, The Precast/Prestressed Concrete Institute (PCI) is the technical institute for the precast concrete structures industry. PCI develops, maintains, and disseminates the body of knowledge for designing, fabricating, and constructing precast concrete structures. PCI provides technical resources, certification for companies and individuals, continuing education, as well as conducts research and development projects, conventions, conferences, awards programs, and much more. PCI members include precast concrete manufacturers, companies that provide products and services to the industry, precast concrete erectors, and individual members such as architects, consultants, contractors, developers, educators, engineers, materials suppliers, service providers, and students.